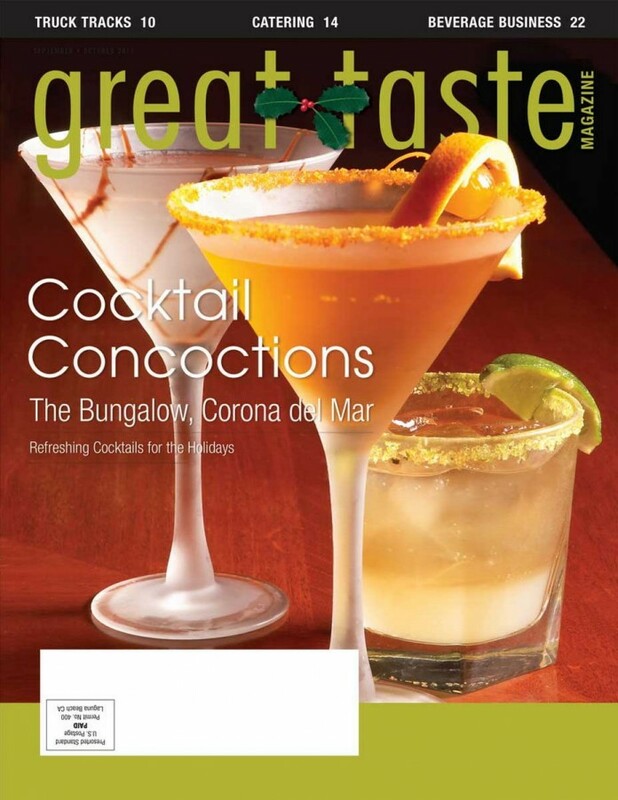 Great Taste Magazine 2011 Nov/Dec Issue covers the restaurants and the professionals with resources, recipes, beautiful photos and many tasty tidbits. In this issue of Great Taste Magazine we explore what’s hot and what’s new in the world of catering. We speak to Chefs from catering restaurants around Southern California about the most recent food trends, the importance of presentation in catering and the organizational costs and challenges they face as caterers. We also take a look at the good and bad sides of catering through a profile on the seafood truck Slapfish. We celebrate the season with some delicious holiday cocktails from The Bungalow in Corona del Mar where bar manager Eric Gulbrandson creates new martinis monthly. 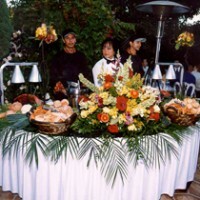 We keep the celebration going in Sur Le Menu with a compiled list of some of the best cocktail recipes being offered in Orange County – mix some up at home or head out and let the professionals mix them up for you. Keep the holiday spirit going with our recipe for Pumpkin apricot muffins with pine nut streusel from our regular column, Sweet Spot. Inside the pages take a journey through our past as we catch up with past featured chefs to see where they are now and ask them to give us one of their best recipes. We also offer up a review of Chef Zov Karamardian’s recently published cookbook, Simply Zov: Rustic Classics with a Mediterranean Twist. 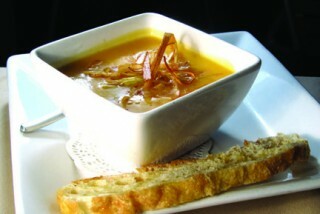 In The Beet we share all the latest news in restaurant openings and chef changes throughout the Southland and beyond. Pick up some simple tips on the best practices for saving time and money while maintaining your espresso maker. If you are thinking of opening up your own business, you will want to read our article on the joys and pains of entrepreneurship, from financing to inventory.